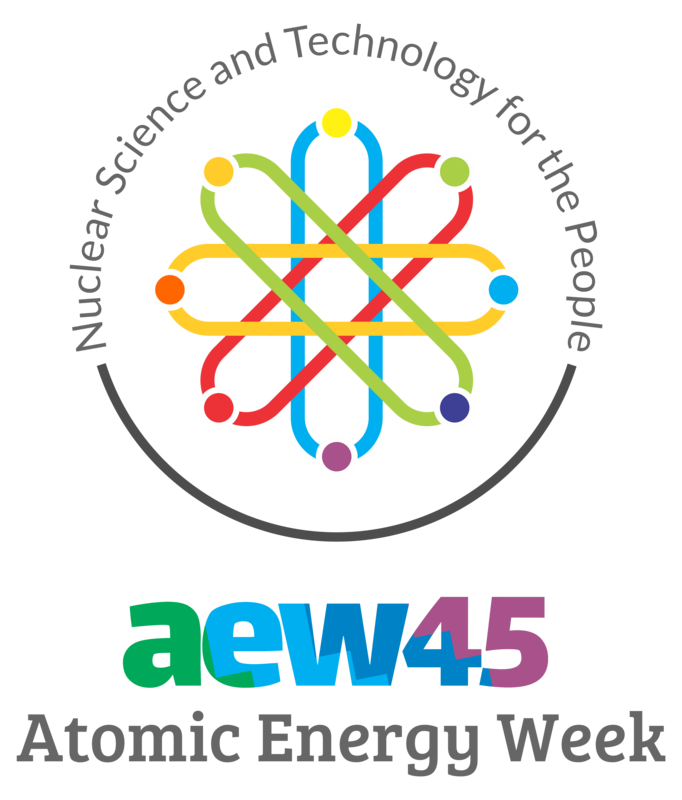 Bringing nuclear and radiation applications closer to the Filipino people, the Department of Science and Technology – Philippine Nuclear Research Institute (DOST-PNRI) will celebrate the 45th Atomic Energy Week (AEW) with the theme, "Nuclear Science and Technology for the People" from December 4-7, 2017 at the PNRI compound. As with every year's celebration, PNRI will once again feature the latest advances in nuclear science and technology in the country in the fields of agriculture, industry, medicine, and the environment with an open-house showcase of several exhibits by PNRI scientists and researchers with free guided tours for all visitors. Congressman Joey Salceda, one of the authors of the bill for a Comprehensive Nuclear Law, will be the keynote speaker on the Opening Ceremonies on December 4. Experts from PNRI and other scientific institutions will give in-depth lectures on nuclear and radiation applications during the afternoon technical sessions on December 4, which will feature topics on nuclear power, and on December 5, which will feature topics on nuclear and radiation technology. Senior high school students, teachers and young professionals will attend the Third Philippine Nuclear Youth Summit to be held on December 5 in tandem with the Young Generation of Filipino Nuclear Scientists (YGFNS), an organization of young Filipinos that aims to promote the practice of nuclear science and technology in the Philippines. Student activities will continue with 34 teams of high school students representing the 17 regions in the country competing in the national level of the 2017 Philippine Nuclear Science Quiz (PNSQ) on December 6. The annual AEW celebration, as mandated under Presidential proclamation No. 1211 in 1973, aims to generate awareness of the Filipino people on the beneficial uses of nuclear science and technology in food and agriculture, industry, medicine and the environment.
" Milagros A. Ramos invented the submerged method of cultivating edible mushroom mycelium (the vegetative stage of mushrooms) in liquid medium in 1963. Her concept departed from the traditional bed-culture method. "